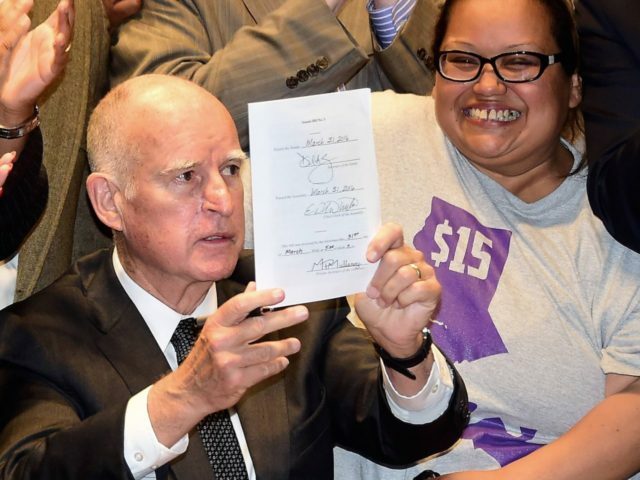 California Governor Jerry Brown referred to taxpayers as “freeloaders” last week for objecting to his new gas tax and car fee hikes. The new tax raises existing gas taxes — already among the highest in the nation — by 12 cents per gallon, with higher taxes on diesel, and slaps car owners with higher annual registration fees. Critics have pointed out that the burden of the tax falls most heavily on middle-class Californians. The Orange County Register, which covered Brown’s remarks, adds that Brown is sparing no effort to keep Newman in office. “He’ll have whatever he needs,” the Register quotes the governor as saying.